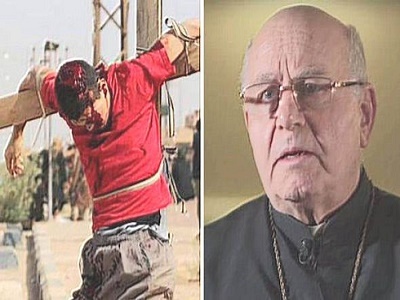 Syrian Christians are being victimized by the very people the Obama White House is aiding. In his final days in office, President Barack Obama seems to be doing his best to aid the Islamists fighting against the Assad Regime by recently lifting restrictions on providing advanced weapons systems to the Syrian rebels, according to overseas news reports. “It wouldn’t be an exaggeration to say that the White House and its European allies have taken a step too far in their bid to obstruct the successful liberation of the city of Aleppo by Syrian government forces and Russian air power. This development has been widely commented on by various analysts and experts across the globe, with some of them claiming that Washington is determined to prevent the complete destruction of ISIS at all costs, since it created and nurtured this terrorist group to overthrow Syrian President Bashar Al Assad just like the Taliban and Al-Qaeda was created to fight Soviet troops in Afghanistan in the 1980s,” wrote French journalist Jean Perier for the New Eastern Outlook. The Russian military under orders from President Vladimir Putin began a campaign of air strikes last year in Syria to help the Syrian government forces in the fight against the rebels who are predominately radical Islamists. The Russian media and reporters from other nations believe that some of the Islamic terrorists have the support of the United States due to the Obama administration’s obsession with toppling Syrian President Bashir al-Assad. The Russian Foreign Ministry spokeswoman Maria Zakharova is quoted as saying the changes in the laws on facilitating a clear restriction of the new U.S. defense budget is considered hostile by many. “The Obama administration must understand that each weapons delivery soon ends up in the hands of jihadists with which [the Obama administration] falsely call moderates,” said Zakharov. “This decision is a direct threat to the Russian Air Force, other military personnel and our embassy in Syria, which has been attacked more than once. We believe that an act of hostility,” she added. Soon-to-be- inaugurated Donald Trump during the presidential election cycle had said he will seek to improve relations with Moscow , and he has complimented the leadership skills of President Putin. In their report, BIRN and OCCRP described how the acquisition of significant numbers of weapons systems and large amounts of military weapons from the countries of Central and Eastern Europe for the Syrian opposition were directly controlled by the Obama administration. 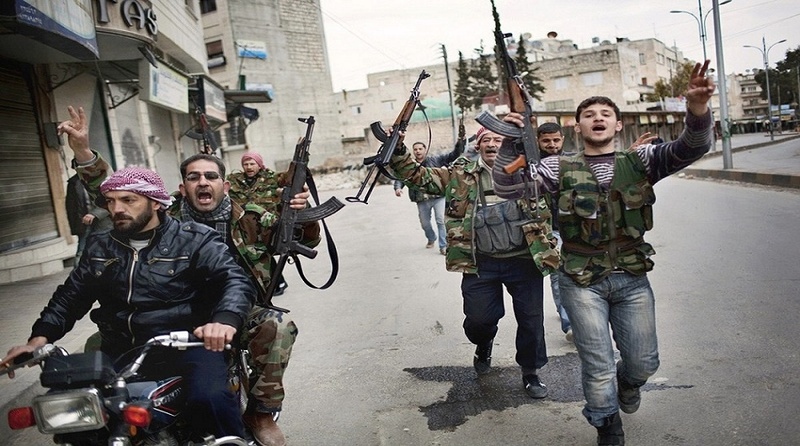 While the U.S. news outlets continue their quest to prop-up and protect their President, the respected military journal Jane’s Defence Weekly in its news analysis titled, “US arms shipment to Syrian rebels detailed,” revealed that the U.S. allegedly supplies the Syrian opposition with weapons and ammunition from Eastern Europe, and noted that these facts were almost officially recognized by U.S. senators. This was not the first time Obama and his minions have been accused of weapons smuggling. In a previous Conservative Base report in October, a recently released American arms dealer named Marc Turi, in his first exclusive television interview since Attorney General Loretta Lynch dropped all criminal charges against him, said that the Obama administration — with the help of Hillary Clinton’s State Department — tried and failed to make him the scapegoat for a 2011 covert weapons program to arm Islamic rebels in Libya that created chaos and death. Turi was a known international weapons dealer — who had threatened the Obama administration that he would testify about information regarding then Secretary of State Hillary Clinton’s arming of Islamist “freedom-fighters” in Syria after having the CIA collect them in 2011-12 in Libya. Many believe that’s why he was released without a trial. “I would say, 100 percent, I was victimized…to somehow discredit me, to throw me under the bus, to do whatever it took to protect their next presidential candidate [Hillary Clinton],” Turi told Fox News chief intelligence correspondent Catherine Herridge. Many intelligence and law enforcement officers were interested in hearing about the details of the weapons transactions in Benghazi by a secret Central Intelligence Agency operation linked to the Battle of Benghazi and the deaths of four Americans, including Amb. Chris Stevens. However, on Wednesday the Attorney General and her team of Justice Department prosecutors suddenly revealed that they had ended their prosecution of the gun-runner on Tuesday, October 4 and he was freed immediately.